Alaric McCabe leads his clan in the fight for their birthright. But on his way to claim the hand of Rionna McDonald, he is ambushed and left for dead. Miraculously, his life is saved by the soft touch of a Highland angel, a courageous beauty who will put to the test his fealty to his clan, his honour, and his deepest desires. Alaric knows that he has a duty and honor to his clan and in order to futhur their protection he must marry Rionna McDonald and become their laird and secure their future. On his way to the McDonald land, he and his men are attacked and he barely manages to escape and is later found gravely injured by Keeley McDonald who has been kicked out of her clan and lives in a small cottage on the outskirts. When Keely finds an injured stranger she endeavors to save his life, a stirring passion builds between them. 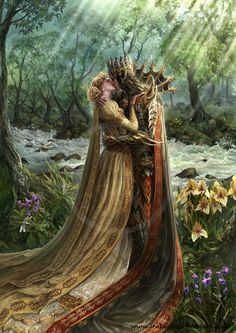 However with Alaric’s impending marriage and his duty to his clan and despite the love he feels for Keeley he knows he has an obligation to his family no matter the cost but sometimes love gets in the way of duty and honor. Alaric, is a fierce warrior and very loyal to his family and to his clan. When he lost his father when his brother was betrayed, both Alaric and his brother have been determined to build up their clan again and make sure everyone will be protected and care for…he knows his duty to marry and knows that everything depends on the union and even though he has fallen in love with Keeley whose warm and loving spirit has unlocked his heart, he feels divided by love and duty. Keeley, grew up as best friend to the daughter of the Laird of the McDonald clan…Fionna. However when she was just starting to grow into womanhood, the Laird tried forcing himself on her and his wife cast her out as a whore and has been on her own ever since, innocent but knowledgable in the healing arts. When she sees Alaric, she is captivated by his eyes and his strong and muscled body and when she ends up on McCabe land, and finds a home and people to cherish and love she knows she could never be truly happy unless she has Alaric by her side. Seduction Of A Highland Lass is the first book that I have read by this author and I just was overwhelmed with this love story and how well written the story was, and I couldn’t help but fall madly in love with the characters, so vividly portrayed in this book I couldn’t put it down….it drew me so strongly in the story I couldn’t put it down until I had finished with the very last page….Even though its the second installment in the series I found I didn’t get too lost or anything with the plot and even though I really want to read the first one now….I am still thrilled that I found this one. Its been a while since I have read a book that totally captivated me and drew me so intensely into a romance that I felt like I was actually there.I really enjoyed the conflict that is presented in the story line, it definitely will bring a tear to your eyes and is very emotionally wrenching, and in some books it needs to be well presented and this one definitely was. 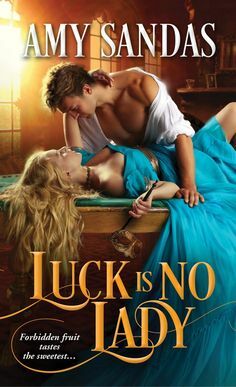 I have no problem with this book….it was full of sensual love scenes, vividly painted characters, and a love story that will just bring out every tender emotion the reader possesses. When I’m not writing, I love to hunt and fish with my family. We all love the outdoorsMaya's Dog and go on family hunting trips every year. We also love to travel. One of our more recent trips was to Scotland, which was every bit as comical as National Lampoon’s European Vacation. You know the part about “Look kids, Big Ben, Parliament” as they went round and round the roundabouts? Yeah, that was us, only we couldn’t even get out of the airport in Glasgow without hitting three of those suckers.